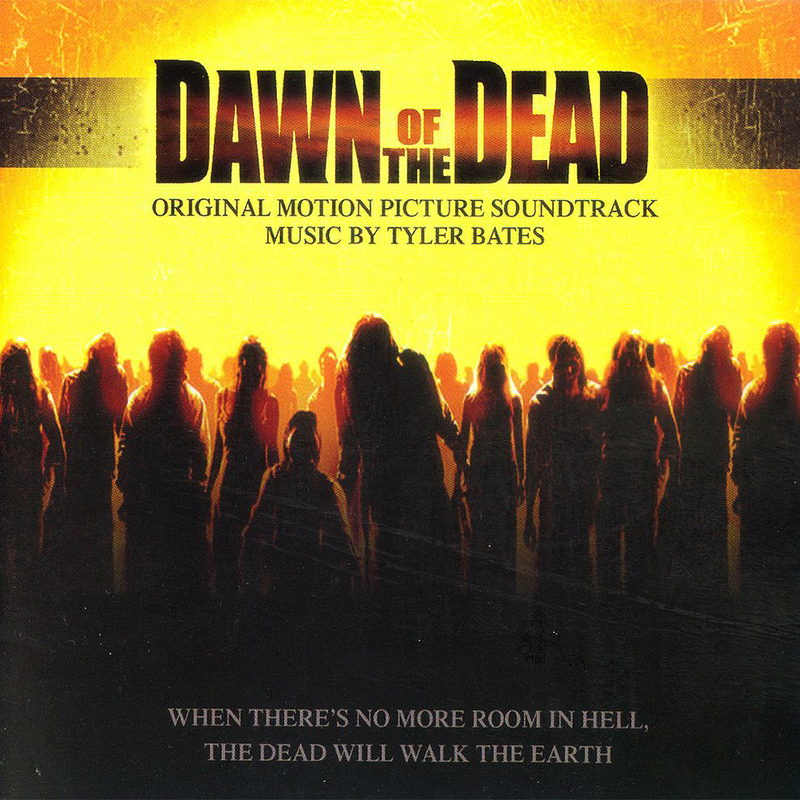 Dawn of the Dead by Tyler Bates was on my searchlist for a very long time. While the score on album isn’t quite the listening experience I wanted it to be, there were a few key sequences in the film, that captivated me on first sight – and still manage to do so. Part of that is due to Bates’ tightly focused tunes which added a melancholic undertone to an otherwise simplistic, not to say mindless story. The first publication of the score, more or less, was in form of a promotional release by Universal Music Group and Strike Entertainment in 2004. 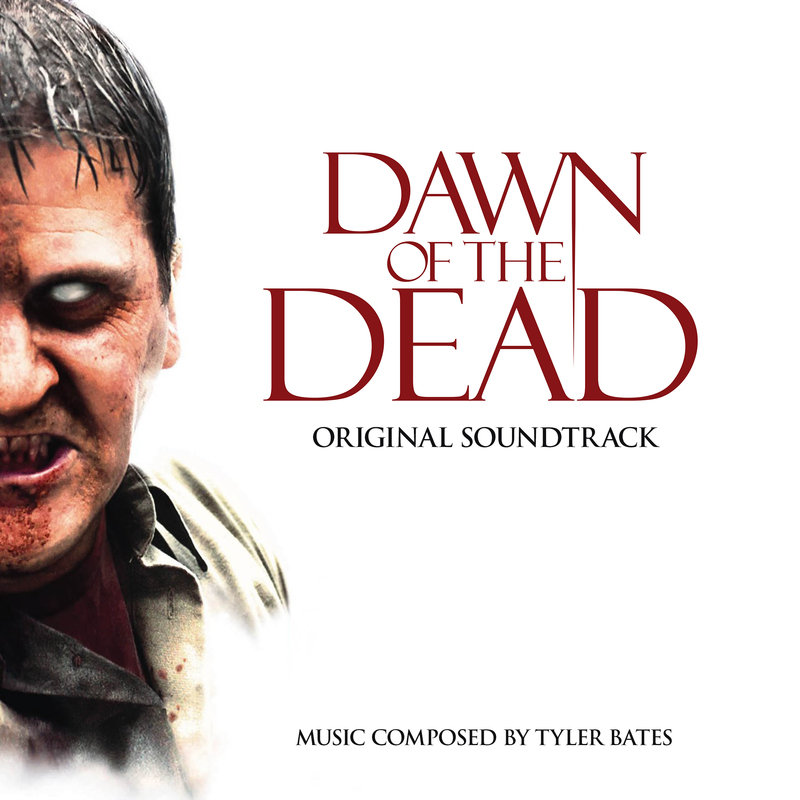 I never got hold of it, but noticed the artwork on a few soundtrack related websites. My first entry within this series is a remake of it (#1). I took the liberty to change a few things though. 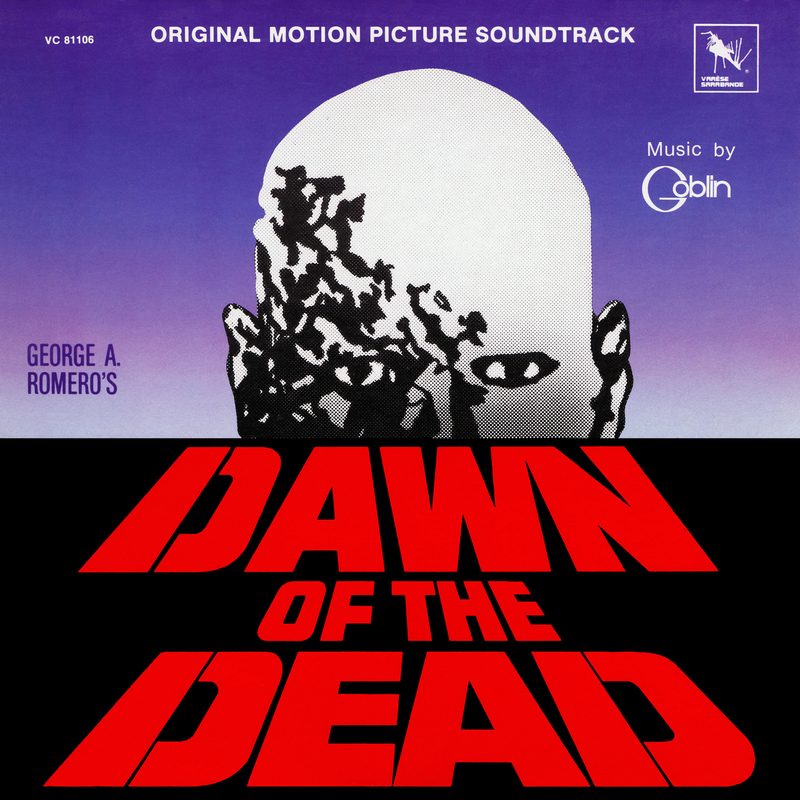 In fact, I let myself inspire by a colleague of mine, namely Bugz from The Score Designs (TSD) and his exceptionally well-designed custom covers for the original 1979 Dawn of the Dead score. I recreated his billing block style (using the fonts “Compacta BD” and “Helvetica Neue”) since it suited the album cover so well and resulted in a lot more deliberate look than the promo album. And because I liked it so much, I made a second version as well, labeling it as an imaginary Double-Disc Limited Edition (#2). Add the original songs to the soundtrack and you’ll likely end up with a two-disc running time, so I guess it serves its purpose. 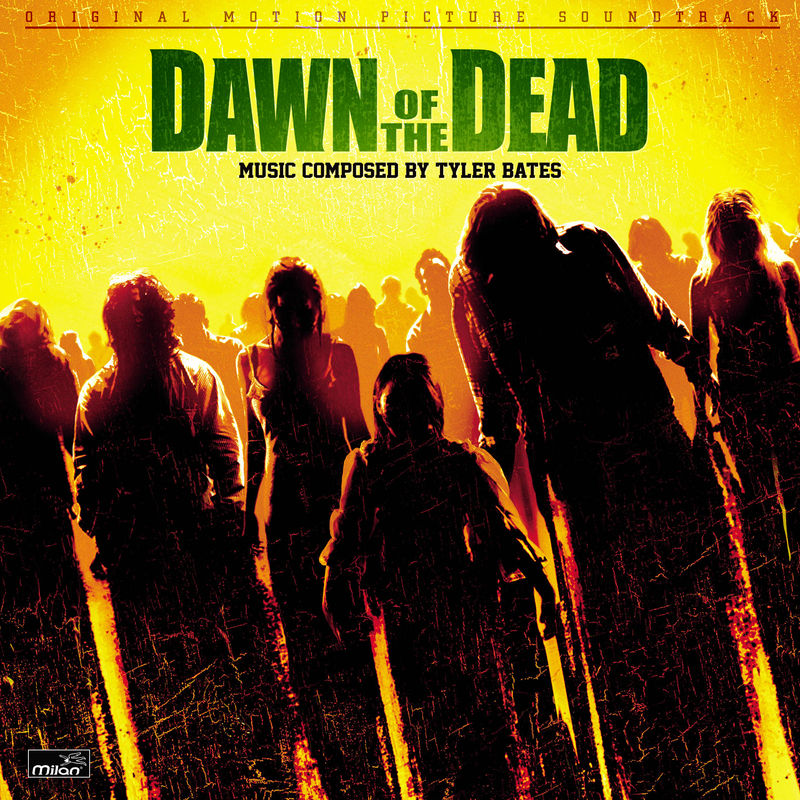 An oddly customized design was used by Milan Records’ official release in October 2012 (#3), almost a whole decade after the films’ release. Looking at the digital booklet as well (see below) it seems as if they had no rights whatsoever to any pictures or images of the film. Under this aspect they deserve even more recognition for bringing the score to its customer base (which I’m a part of). I, on the other hand, had no restrictions at all in using source material from the film (hopefully! ), since this is not a commercial blog and I’m basically advertising the products I offer custom covers for. As such, I was able to go full circle and hammer out a few designs that kept tingling my spine for a while now. The first two customs (#4, #5) are based on the same template, a huge 5000px square motif which gave me the freedom to crop and cut at will. I tried out two title variations for the second design (#5), but eventually settled on the blue version, since it had a little more contrast and was easier on the eye. Custom #6 is based on the official film poster, yet with an added aging effect that came in very late in the game. This was another decision that wasn’t as easy as it might seem. I had a pure white version at first and actually liked it, even though it was done within merely half a minute. But once again Mr. Retro and his Washing Machine came into play and I just couldn’t resist… I just love texture. In the final custom cover (#7) I once again picked up Bugz’ billing block design, but this time even more true to his original. 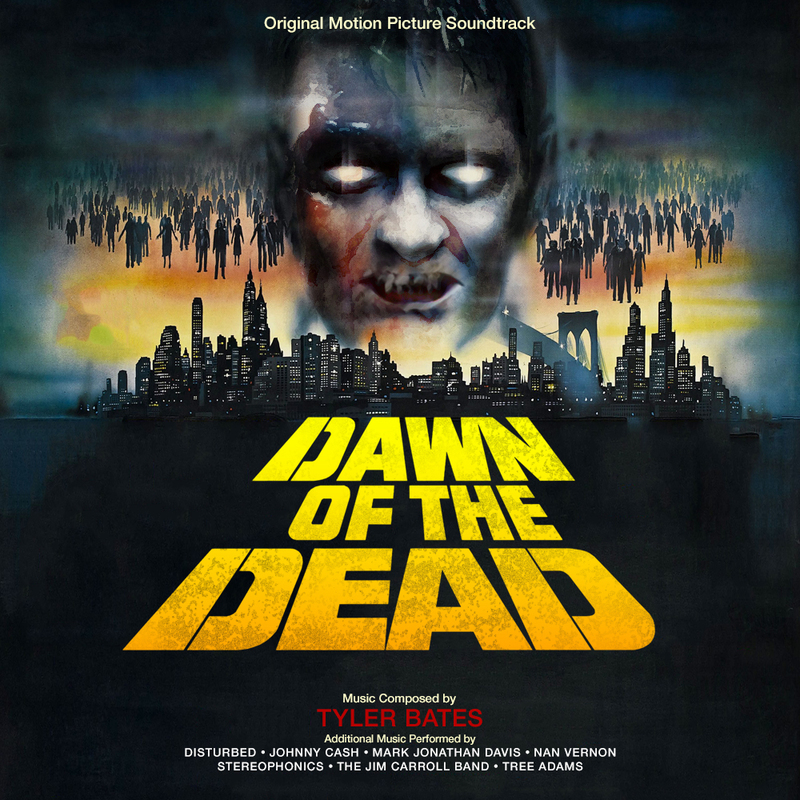 My idea was to use the Zombiehead from the film poster and alter it in a way to resemble the handdrawn comic style of the 1979 soundtrack album from Varèse. But all my attempts were to no avail. Every effects filter I owned in my array of graphics applications failed miserably. I then tried out some “specialized” apps on my iPad and even considered this service as well. But nothing worked. I finally tried to vectorize the image with CorelDRAW and this did the trick… phew! 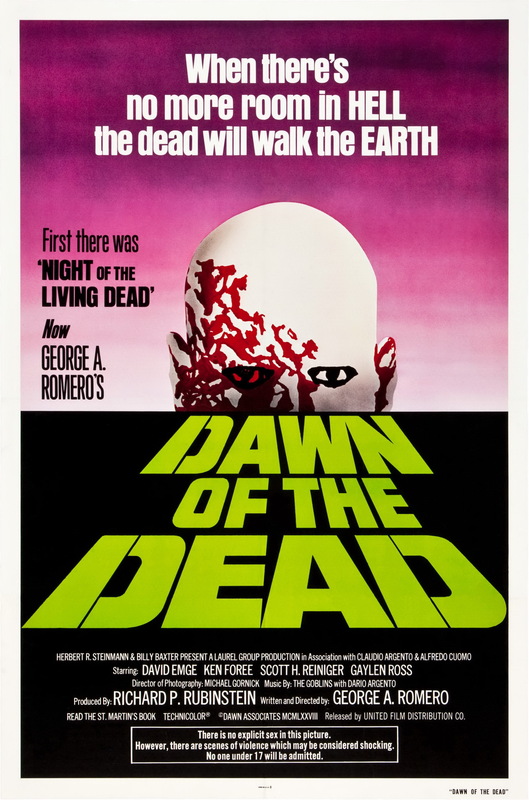 With my now cartoonized Zombiehead in front of me, I was able to extract the blood sprites from the one-sheet poster of George Romero’s original film and add them as well. A few redrawings, adjustments and effects layers later I was rewarded with a wonderfully retro cover design for a not so retro movie score. It was by far the toughest cover within this series; and even started out in a completely different design direction – one that ultimately didn’t work out. This was a really fun series to work on, I especially enjoyed the mixture of retro design style vs. modern graphical elements. It allowed me to go wild with washed out colours and weathered textures and I’m already looking forward to the next Zombie flick in my collection, or rather its accompanying soundtrack album. Go ahead, take a guess, I’m sure you’ll figure it out.